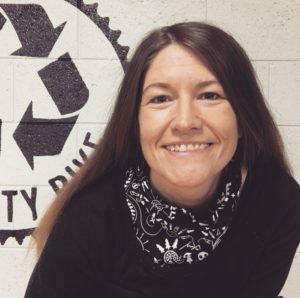 We are thrilled to announce our Executive Director, Acacia Wytaske, has been selected as one of the recipients for the 2018 Quality Bicycle Products (QBP) Women’s Bike Mechanic Scholarship! Acacia will be attending a 2 week long Professional Repair and Shop Operations class in Ashland, Oregon at United Bicycle Institute (UBI). Learn more about this scholarship and the other recipients at this link: QBP Women’s Bike Mechanic Scholarship. Huge thank you to QBP, UBI and the 2018 sponsors for recognizing the dedication of our Executive Director and investing in our community!